If you are diabetic, you might have gone to your physician and asked him of the possible cure or simply obliged him to tell you the truth. Well, in the real sense, there is no cure for diabetes but there are ways on how to control it. Going online and reading lots of articles that have something to do with the treatment of this disease will lead you to nothing, I mean, you will just read the same thing again from one site to another and this is also true when you go from one doctor to another. You might say that the hope is gone, well, think again. Here is something that you might want to consider and hope for as a possible cure for one of the most popular diseases in the world that killed so many people. Because of the increase in sugar in the blood, there is a tendency that cardiovascular disease, kidney disease, loss of limbs and nerve damage can happen. As much as possible, these should be stopped in order to save someone with diabetes. TXNIP is the kind of protein that the scientists are looking closer at and studying a lot that could give rise to the diabetes medication. This protein has the capacity to kill insulin-producing cells that causes lot of problems. 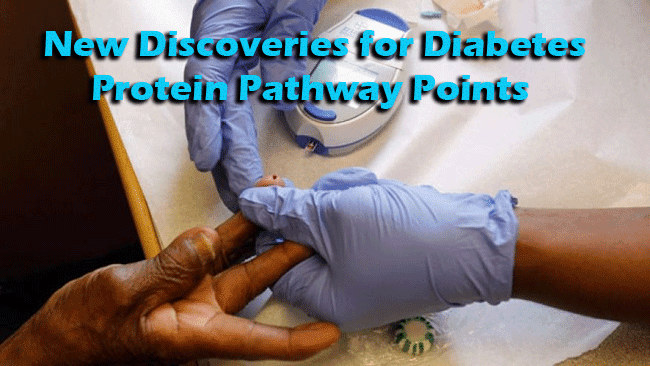 With the aid of technology, the tracking of the said protein gave rise to possible breakthrough in terms of diabetes cures. We know for a fact that there are so many theories that have existed through decades explaining some possible ways to curse diabetes but to no avail. There are even vegetarian people who claimed that a certain fruit or vegetable can cure it but there are no proofs still. Let us hope and pray that this discovery might be the key.